Altruism: Unselfish regard for or devotion to the welfare of others; charitable acts motivated purely by altruism. Merriam-Webster thus defines the characteristic that every church, community, parent, and service organization hopes to instill in everyone — youngsters and adults — every day. Opportunities to donate of oneself, by spending time and energy on worthwhile causes, increase exponentially too at holiday time. It’s not that thousands more people in need and neglected animals materialize out of thin air, but that we tend to notice more easily this time of year… and we want to do something to help. Personal mailboxes — the old-fashioned, physical kind — overflow with donation requests from worthy organizations. So do the email inboxes of anyone who made online donations in the past. Charitable feelings and fund-raising needs may be particularly strong this year, following the many natural disasters recorded around the world in 2017. For those who decide to donate money to the worthy cause of their choice, mobile payment and online giving websites make it fast and easy. But often, there’s a price to be paid for this convenience. Transaction and processing fees reduce the amount of donations actually collected by a charity — a trade-off that most people don’t realize. But charitable payment processing solutions exist to help charities maximize the amount received from digital donations. Let’s take a look at the numbers, and the charitable payment processing choices that can help improve collection results. Like many things in life, philanthropic activities fluctuate among regional populations and cultures. While every donation helps, mega donors provide more and more of the total. If you’re interested in philanthropy trends, this discussion on National Public Radio discusses the upsides and downsides of mega donors who are changing the 80/20 Rule (80% of donations coming from 20% of the donors) to more like 98/2. This while “American individuals, estates, foundations and corporations contributed an estimated $390.05 billion to U.S. charities in 2016,” according to the Giving USA Foundation. CECP, in association with The Conference Board, prepares an annual report presenting a profile of corporate philanthropy. More than 250 multi-billion dollar companies participated in the 2017 annual survey. Take a look to see how leading companies are re-defining “purpose” and success for themselves, while donating billions to needy causes. Millions of their employees contribute hefty sums too, via employer matching programs. Now that’s real impact. Let’s hope both the corporate donors and their employees donated through sites optimized by charitable payment processing experts to maximize the benefits delivered by the donations. Reduce Charitable Payment Processing Costs to Maximize Contributions. Here’s How. NerdWallet discusses how online and mobile payments make donating to charity easier, but that the convenience comes at a price. They outline the types of fees charged for digital payments, and advise on how to deliver 100% of your gift. Included info: fees charged for donations via Facebook, major payment card brands, third party payment methods like GoFundMe and other fundraising sites, and payment processors Stripe, PayPal, and others. Individuals inspired to give should check it out. Be mindful of transaction fees to ensure that as much of your gift as possible goes to the nonprofit you want to help. Always check to see whether you can increase the impact of your contribution through an employer-matching program. Check out how efficiently each charity uses money received, via sites like CharityNavigator. Melissa Johnson (writing for Merchant Maverick) knows that nonprofit organization managers know about cutting costs “at every turn.” But many don’t think of reducing their credit card processing costs. Accepting online donations does cost money, as do online sales transactions. 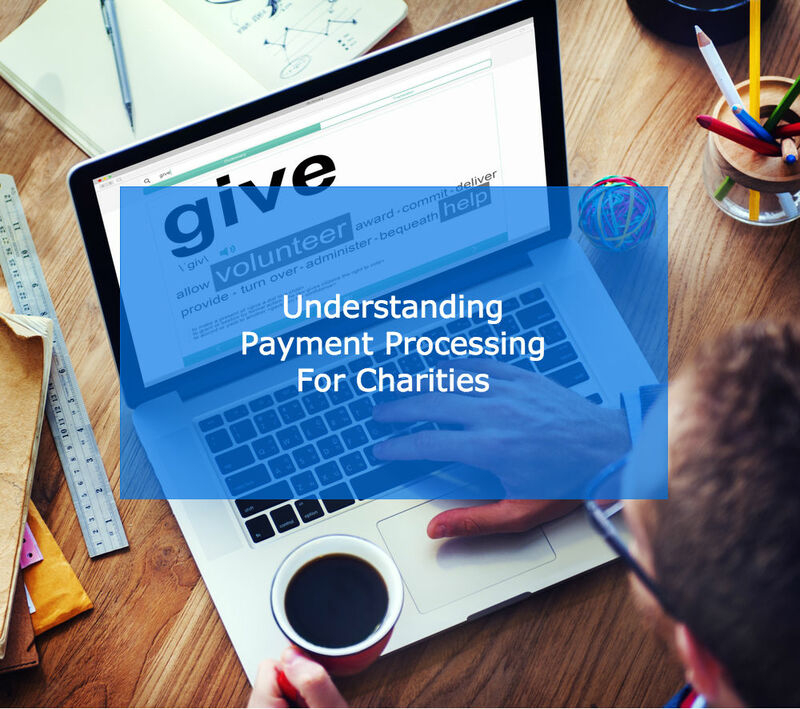 Flexible processing needs (like processing recurring donations and selling merchandise) can cost charities even more. American banks and credit card companies retain profits (order of magnitude $250 million a year) from processing online charitable donations. They can afford to reduce the cost burden for nonprofits. Maximize non-profit donations with electronic payments made via credit cards, debit cards, and ACH/eChecks through nonprofit-hosted payment forms. Retain existing donors and reduce marketing costs with automated recurring donation options. Increase payment security through PCI-compliant payment processing solutions. Some processors — like MerchACT — even provide charitable payment processing at cost, for qualified 501(c) nonprofits. Explore working with us, and we’ll use our payments industry expertise to offer amazing pricing to your qualified charity. We’d love to help.